Read my Introduction to this Series. I signed up for a 14 day free trial of YouTube TV to see if it met my expectations for “cutting the cord”. It did not, but, remember I am a picky baby boomer (BB) who grew up with TV and still watch TV quite a bit (but, that is changing, slowly). 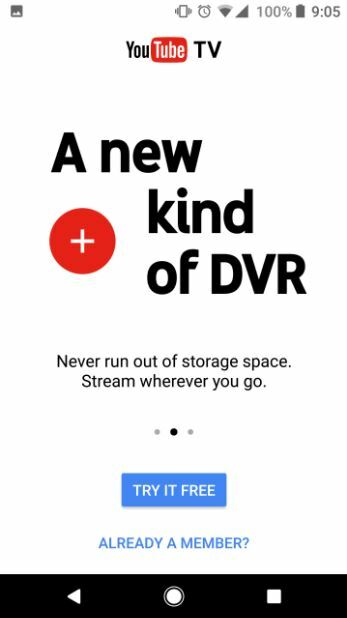 If you do not watch TV like me, YouTube TV might be perfect for you. 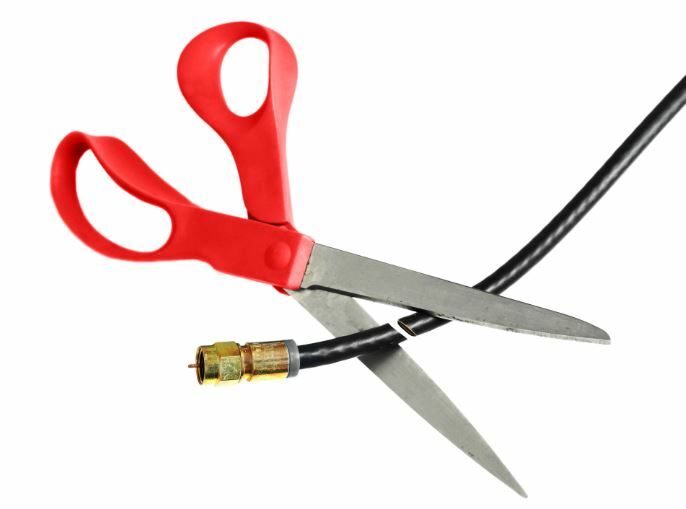 One thing to keep in mind as you consider the various cord cutting streaming options: You still need Internet service when you cut the cord, and those costs can be raised at anytime as more and more people stop their cable TV service. A lot of articles on “cutting the cord” fail to mention this small detail. A really nice, technically excellent (audio and video were perfect for the entire trial period), streaming offering for $35 per month. 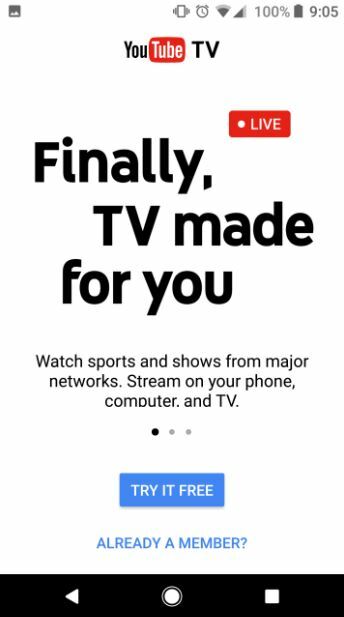 YouTube TV provided this BB with almost everything I needed to finally “cut-the-cord” with only a few missing elements, namely: live FOX TV which I watch in the morning (the non-political news), live 49’er football (on FOX, of course), Jane the Virgin on CW, HGTV, and the Food Network. We got free “DVR” of our favorite shows which we watched later on our big screen HDTV using Chromecast. Note: We DVR shows now on Comcast, but, for $10 per month extra. We currently pay $148 per month for Comcast / Xfinity including 100 Mbps Internet access…..and get everything we want and more. 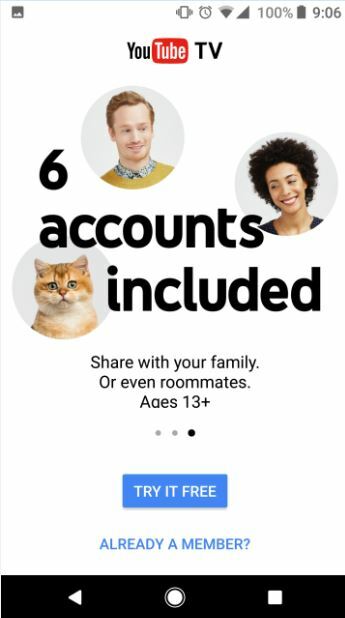 If I were to cut the cord with YouTube TV, I lose some things while paying $35 a month for YouTube TV and about $70 for Xfinity 100 Mbps Internet. With losing those few things I have come to rely on…..saving $43 per month is hardly worth the effort of cutting the cord. As I mentioned above the audio and video quality for watching a normal TV show were both perfect for the entire 14 day trial. Not one glitch. When I was watching football however, the video frame rate seemed to slow and it felt like I was watching a bad SD (standard definition) replay of the game. Weird. The user interface is nice and it took just a little while to get used to. 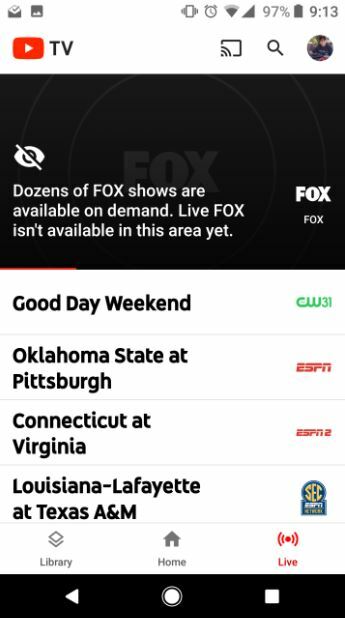 Not having FOX killed the idea of us cutting the cord for YouTube TV at this time (No Darren Peck weather and no 49’er football). 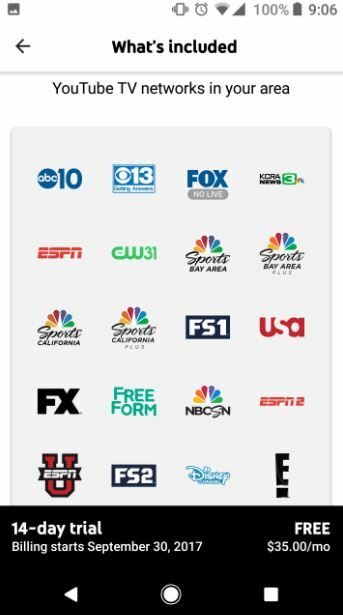 Plus, saving only $43 a month while losing the few things we love, make cutting the cord with YouTube TV a NO for us right now.